This month in the Teacher's Corner, we develop a solid understanding of comparative and superlative adjectives that will help EFL learners perform tasks involving these critical thinking skills while using English. We compare, contrast, and rank things in everyday life whether we are talking about our favorite things, shopping, or analyzing academic material. A solid understanding of comparative and superlative adjectives will help EFL learners perform tasks involving these critical thinking skills while using English. This month’s Teacher’s Corner explores ways to help learners discover general rules related to these grammatical forms and also shares ideas for encouraging learners to use comparative and superlative adjectives during communicative activities. Before we dive into this month’s activities, let’s briefly review (and compare!) these two forms. This month we will examine the first two comparison categories. According to corpus-based studies (e.g., Knoch, 2004), superiority comparisons are used more frequently in English than inferiority comparisons. Example: The black suitcase is less heavy than the red suitcase. Example: The red suitcase is lighter than the black suitcase. Example: My Physics class is more difficult than my Art class. General “rules of thumb” for deciding which of the two forms to use in a superiority comparison depend on factors such as the number of syllables in the adjective and the adjective’s spelling. Please see the first Teacher’s Corner activity for more information on these rules and a task in which learners use language examples to inductively determine the guidelines. While such “rules of thumb” are helpful, teachers should also let learners know that they may encounter native speakers who use the forms interchangeably (for instance, Tom is sicker than Katie. or Tom is more sick than Katie., although the first sentence is prescriptively correct). Teachers must also make students aware of irregular forms that are exceptions to the rules. These irregular forms must be memorized. Common examples include: good -> better, bad -> worse, and far -> farther. Comparative: The brown house is more expensive than the red house. Superlative: The Carolina Reaper is the hottest chili pepper in the world. Example: Sam is the least experienced candidate for the job. Superiority: used for the “top of the scale” in relation to the quality being discussed. Example: The cheetah is the fastest land animal. Example: In 2014, vanilla was the most popular ice cream flavor in the United States. The guidelines for determining which superlative adjective form to use in a superiority comparison are similar to those for comparative adjectives; see the first Teacher’s Corner activity for more details. As with comparative adjectives, teachers should draw learners’ attention to common irregular superlative adjectives forms that require memorization such as good -> best, bad -> worst, and far -> farthest. Also, it can be helpful to highlight the use and placement of the definite article the with superlative adjectives (the brightest star, the most challenging course, the least expensive car). Knoch, U. (2004). A new look at teaching comparisons – a corpus-based approach. Journal of Language Learning, 2(2), 171-185. This week’s activity features a consciousness-raising (CR) task in which learners use example sentences containing the target form to discover general grammar rules about comparative adjectives. Note: This CR activity does not address every possible prescriptive rule associated with comparative adjective forms; instead it focuses on general guidelines. Specific topics like the spelling changes needed to preserve vowel quality in one-syllable consonant-vowel-consonant adjectives (e.g., big -> bigger not *biger) must be addressed separately. Discover general rules for when to use “adjective + -er/-r/-ier than” versus “more adjective than” by examining sentences containing comparative adjectives in superiority comparisons. Discuss and compare the price and quality of two products or services based on information in print advertisements (Note: “ad” is a common shortened form of “advertisement”). Picture of a smart phone and an older basic phone (a “flip” mobile phone, a mobile phone with buttons); you can draw these items on the board if desired. Optional pictures are provided. Print out or prepare images of a smart phone and a basic phone. Copy or print out the CR Task - Comparative Adjectives Worksheet, ideally making enough copies for each student to have his/her own copy. To save paper, print two-sided worksheets; students working in pairs can share a copy. Ask students how they would compare the qualities of the two phones in a sentence. You might give examples, such as: The smart phone is more modern than the basic phone. (write the sentence on the board). Then say, “What if we want to talk about price? What word can we use to describe something that doesn’t cost much money? (trying to elicit “cheap”) So, we can say the The basic phone is cheaper than the smart phone.” (write the sentence on the board). Prompt students to compare the two sentences on the board: “Hmm…we used more modern to make a comparison in the first sentence, but cheaper to compare the phones in the second sentence. These sentences have the same purpose, right? To compare? Maybe there is a rule that can help us know how to make these comparative adjectives. Let’s find out.” (Note: leave the sample sentences and adjective lists on the board; you will return to this information after the consciousness-raising activity). Put students into pairs and ask student volunteers to pass out the CR Task - Comparative Adjectives worksheets. Tell students they are going to work with their partners to the examine advertisements in the worksheet (Part A). Explain that there are sentences below each set of ads that compare the two products. Explain that for each sentence in Part A, the pair must identify and write down the base form of the comparative adjective. Model the example in the first sentence. Explain that in Part B, pairs will work together to put each base form and associated comparative form in the appropriate column based on the number of syllables in the base form. Model an example and remind students that they can use tapping or clapping when saying a word aloud to count the number of syllables it contains. Explain that in the final section, Part D, pairs should review the information in Parts A-C to complete the rules for using comparative adjectives. Circulate and monitor students’ progress as they complete the task, providing assistance as needed. If some pairs finish more quickly than others, direct them to use the rules they developed in Part D to correct the incorrect sentences in Part C.
When students are finished, lead a brief whole-class review, and confirm students developed accurate rules in Part D. Provide clarification and feedback, as needed. Direct students’ attention to the two sentences on the board from the beginning of the activity. Ask students to explain why different comparative adjectives forms were used in the two example sentences (cheaper vs. more modern). Read the two sentences aloud, emphasizing the word than (using your voice and underlining than on board) in each sentence, to remind students that per the rules they found, they will use than after the adjective to compare two things. Have student volunteers produce the comparative forms for other adjectives listed on the board during the initial brainstorming session. Provide clarification, as needed. Write good and bad at the bottom of the list of adjectives. Ask students: “How many syllables does good have? How about bad? Based on the rules you discovered, what is the form for these words?” (expect: *gooder and *badder). Explain that the rules do not apply to these common adjectives, that they are irregular. Write good -> better and bad-> worse on board; ask students to chorally repeat the forms. Ask: “What do we know about irregular forms?” (expect: they don’t follow rules, they have to be memorized). Explain that there are a few other common irregular comparative adjectives, but for now these are the only two they have to memorize. Follow up activity: Put students in groups of 4-5. Tell them they are going to go shopping! Pass out copies of English advertisements you have collected from the internet for a few pairs of products (two washing machines, two TVs, two radios, two vacuum cleaners, etc.). Explain that students are going to look at all of the ads and make a decision about the product their group most wants to buy after comparing and discussing prices, warranties, qualities, and features. Everyone must agree on what to buy. Groups will then write four sentences: the first sentence should describe the product they want to buy and the other three sentences should explain why they chose to buy one item and not the other. Model an example: “I want to buy the Razor phone. The Razor phone is cooler than the Flash phone….”. When groups are finished, they should take turns presenting their decisions and reasons with one or more partner groups. Monitor student output and provide feedback, as needed, while groups share their work. add the ending ___(-est)______ to the word. add the ending ___(-st)____ to the word. change the ending to ___(-iest)_____. add the word __(most)____ before the adjective. 4. Use the word ___(the)____ before the adjective when using superlative adjectives. This activity describes how Activate: Games for Learning American English “Picture This – Same and Different” game cards can encourage students to use comparative and superlative adjectives as they discuss groups of related items. These game variations enable students to practice using comparative adjective forms and a variety of vocabulary items in fun, creative, and personally meaningful ways. You only need to print the cards that have the picture sets, not the cards with text questions. Ideally, each group would have its own deck of cards. To save paper, adjust your printer’s settings to print 4-6 cards per page and have student volunteers cut up and sort out decks of cards before the activity. Also, two groups can share a deck of cards and swap cards when fresh content is needed. If desired, conduct a brief review of comparative adjective form and use prior to beginning the game. You can also play the game after initial instruction on this grammar topic. Put students (the players) into groups of 4–5; have them sit in circles. Have student volunteers pass out a deck (or a partial deck) of “Same and Different” picture cards to each group. Players should place the cards facedown. Ask each group to choose one player to be the “Timer,” making sure he or she can see a clock or other timing device. The Timer draws a picture card from the deck and shows it to the group. The other players get 1 minute to examine and compare the pictures, silently thinking about how the items are different. The Timer tells the players when to start and stop the silent brainstorming process. During the brainstorming time, students should think about adjectives that can describe these differences; you can give students the option to write down the adjectives. Next, for 3 minutes, players (except for the Timer) take turns going around the circle naming one difference they observed among the pictures. The Timer keeps track of when to start and end play, giving the group verbal cues (“Ready, go!” and “Time’s up!”). Players should state their observations about the pictures in complete sentences using comparative adjectives. Players should not repeat a response given by another person. After each player gives his or her response, the others give it a “thumbs up” or “thumbs down” (or other locally appropriate hand gesture signifying “Okay/Not okay”) depending on whether they think the response used the comparative adjective correctly. To reach consensus on the correct form, players should briefly discuss any responses that some people deem unacceptable. Players get 1 point for each acceptable answer. Responses that exactly repeat a previous a previous answer get a “thumbs down”/0 points. If a player can’t think of a response, they can say “skip” and receive 0 points for that turn. Players keep track of their own points on a piece of paper during game play. Model the process of playing with this example or by eliciting sample answers from student volunteers. The first round of play may move a bit slowly, but students will soon get used to the flow and play speed will increase. After time is up, group members should tally their points. The person on the left of previous Timer becomes the new Timer. The new Timer starts the game process over again. Game play continues until all members of the group have served as the Timer (e.g., served one turn in which he/she does not earn any points). When the game is over, the student with the most points in each group is the winner. During game play, circulate and monitor students’ progress. Answer questions and provide support as needed. Optional: To make the game more competitive, have two groups compete against each other while working from the same picture card. Groups complete the brainstorming separately, and then they come together, taking turns giving responses. The Timer from one group remains the Timer, and the Timer from the other group keeps score for both teams. All other members of both teams give responses and participate in the brief thumbs up/thumbs down review for each answer. The two groups can play through several cards, switching the Timer and Scorekeeper roles after each round. The group with the most points when the time allotted for play is up wins. Before the activity, write the Superlatives Question Bank (see Step 5) on the board. If desired, cover the question bank until you are ready to use it. If desired, conduct a brief review of superlative adjective form and use prior to beginning the game. You can also play the game after initial instruction on this grammar topic. Put students (the players) into groups of 4–5; have them sit in circles. 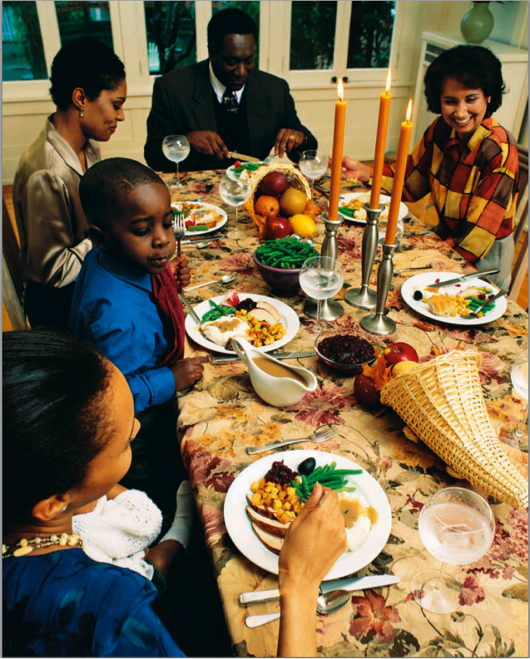 Ensure each group has a deck (or a partial deck) of “Same and Different” picture cards. Players should place the cards facedown. Ask each group to choose one player to be the first “Question Master,” making sure he or she can see a clock or other timing device. The Question Master draws a picture card, examines the pictures, and then develops a question about items on the card with help from the “Superlatives Question Bank” on the board. The Question Master then shows the card to the other players and tells them the question. Which (item type) is the most or least ______? Why? Which (item type) is the ______? Why? All players (including the Question Master) get 1 minute to examine and compare the pictures, silently thinking about their answers to the Question Master’s question. The Question Master tells the players when to start and stop the silent brainstorming process. During the brainstorming time, players should decide, in their opinion, which item shown on the card best answers the question. They should also be ready to explain their answers. After the brainstorming, the Question Master calls on a player to share his/her answer. Answers should be given in complete sentences that include the superlative adjective in the question. Students also must explain their answers (e.g., they should answer the “Why?” part of the question). Players go around the circle, each sharing his or her answer; the Question Master shares his or her answer last. In this game, it is okay if players have similar answers. Model the process with this example or by eliciting sample answers from student volunteers. The first round may move a bit slowly, but students will soon get used to the flow and speed will increase. Question Master: Remember, the question is “Which communication tool is the most useful? Why?” Maria, you’re first. Player 1: To me, the radio is the most useful tool because you can use it in an emergency without electricity. Player 2: I think T.V. is the most useful tool. T.V. gives us news and entertainment. Player 3: E-mail is the most useful tool because it lets you communicate with people all over the world. Question Master: I agree with (Player 2). T.V. is the most useful tool. T.V. gives us text, image, and sound information. Once everyone has shared his or her answer, the person to left of the previous Question Master becomes the new Question Master, and the process begins again with a new card. Play can continue for a set amount of time or until all groups have played a pre-designated number of rounds. Note: Game 2 does not give players points; it simply provides a context for students to communicate using the target grammar point and creative thinking. If you’d like to add a competitive element, include the thumbs up/thumbs down evaluation and point system to rate grammatical accuracy described in the Game 1 instructions. This activity asks students to analyze pictures of people from other cultures in different settings. Students will work in groups to answer questions about the picture and then complete a short writing task based on their observations. Photos of people who live in other places doing a variety of activities, enough so that each group of 3-4 students can have one photo. The two sample photos in this activity come from Celebrate! Holidays in the U.S.A. Collect a set of pictures showing people from other cultures. You can use pictures from magazines, the internet, or other sources. Write a short caption under each photograph. Try to include diverse activities and locations in your photo collection (people in the city/country, people playing games, people celebrating holidays, people doing things during different seasons, etc.) Be sure to collect enough pictures so that each group of 3-4 students will have one. Show students 2-3 pictures from your collection. Ask student volunteers to briefly describe what they see happening each picture. Put students into groups of 3-4. Tell groups that they are going to compare what they see in the picture to what life is like where they live. Ask one student from each group to choose a picture from the collection for their group. Ask groups to look carefully at their photo and to discuss the answers to the following questions, which should be written on the board. Students should make notes during the discussion. Be sure to model an example with the class before groups begin their discussions, and remind students to read the photo caption (short description) first when the discussion starts. Where does the scene in the photo take place? What time of year do you think it is in the photo? What time of day is it? Describe the people in the picture. What do they look like? What are they wearing? Describe other things, shapes, or symbols you see in the picture. Next, ask groups to brainstorm as many differences as possible between what they the see in the picture and what they usually see or experience where they live. Sentence with a comparative adjective The weather in the picture looks warmer than weather where we live. The dog with the family looks friendlier than dogs in our neighborhood. The food in our country is more delicious than the picnic food in the picture. Finally, ask groups to use their notes from their initial conversation about the picture and their comparison sentences to create a complete paragraph that describes their picture. The paragraph should contain about 7 sentences and use the following structure. Write this paragraph framework on the board, and then show students an example paragraph. Sentence 4: There are some differences between what we see in the photograph and life in our area. 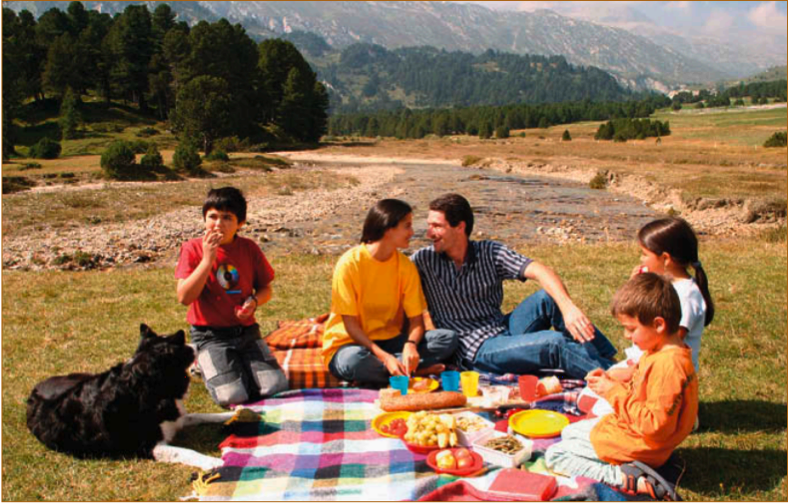 Our picture shows an American family eating a picnic in the summer. There are two parents, three children, and a dog at the picnic. They are eating next to a big river and lots of mountains. There are some differences between what we see in the photograph and life in our area. The weather in the picture looks warmer than weather where we live. The dog with the family looks friendlier than dogs in our neighborhood. Also, we think the food in our country is more delicious than the picnic food in the picture. While groups work on their paragraphs, circulate around the room and answer any questions they have. Assign each group a partner group. Ask the groups to show each other their pictures and read their paragraphs to each other. Ask groups to post their pictures and paragraphs around the room. Give everyone 5-7 minutes to get up and review the other groups’ work. When time is up, ask a few students to share which picture/paragraph packages they liked best and why. Ask groups to turn in their paragraphs before the end of class. Provide individualized written feedback to each group, and review any common errors with comparative adjective use you observed with the whole class during the next class meeting. This activity describes how to adapt the Activate: Games for Learning American English board game called “Which One Would the World be Better Without? Why?” to create opportunities to use common irregular comparative and superlative adjective forms: good -> better -> best and bad -> worse -> worst. Use irregular comparative and superlative adjectives (good -> better -> best; bad -> worse -> worst) while comparing, evaluating, and ranking three items. Use creative thinking, imagination, and personal preferences to create original oral responses during game play. “Which One Would the World be Better Without? Why?” board game (.pdf), enough to have one board game per group of 3-5 students. Die or die alternatives (e.g., a pencil with numbers 1-6 written on each side, which can be “rolled” like a die); enough to have one die per group of 3-5 students. Note: die is the singular form of dice – a good language point to cover with students! Game pieces to represent each player’s position on the game board. You can use coins, buttons, balls of colored paper or clay, colored paper clips, plastic figurines, or unique stones. Print out and copy the “Which One Would the World be Better Without? Why?” board game. You’ll need enough copies to have one board game per group of 3-5 students. If you’d prefer, you can have students create copies of the board game on sturdy paper or pieces of cardboard with your guidance. For this option you will need to supply to board-making materials and markers or colored pencils. Tell students they are going to play a board game that asks them to analyze three items and to rank the items according to how they affect society in positive or negative ways. If desired, quickly review the irregular comparative and superlative adjective forms of “good” and “bad.” Elicit the forms from students and ask a couple of volunteers to give example sentences using these forms. Put students into groups of 3-5. Ask student volunteers to pass out the board games, dice, and game markers to each group. Draw or project a copy of the board game on the whiteboard, chalkboard, or wall. Explain that the goal is to be the first player to move from the “Start” space to the “Finish” space. Tell students they will do this by taking turns rolling a die, moving along the path, and responding to the prompts in the associated squares. (bad, worse, and the worst) I think video games are bad for society because they keep kids from playing outside. Zoos are worse than video games because zoo animals don’t have much space to move around. I think prisons are the worst for society because they are expensive and don’t reduce crime. (good, better, and the best) Prisons are good for society. They punish criminals. Zoos are better than prisons because zoos help us learn about endangered animals. In this group of items, video games are the best for society because they teach us to solve problems and work together. Explain that there is not one “correct” answer for each prompt; instead, the goal is to practice using English and be creative. While students are playing, circulate around the room and answer any questions the groups have. Ask students to share some of the most interesting or creative responses they heard while playing. Answer any student questions about the language heard during the game. Ask all game winners to raise their hands or stand up and receive a round of applause. Activate Board Game: Which One Would the World be Better Without?